GUYS! Need to tell you about my new almond milk maker from Almond Cow. I had been wanting to start making my own plant-based milks, so when Almond Cow approached me I was so excited! 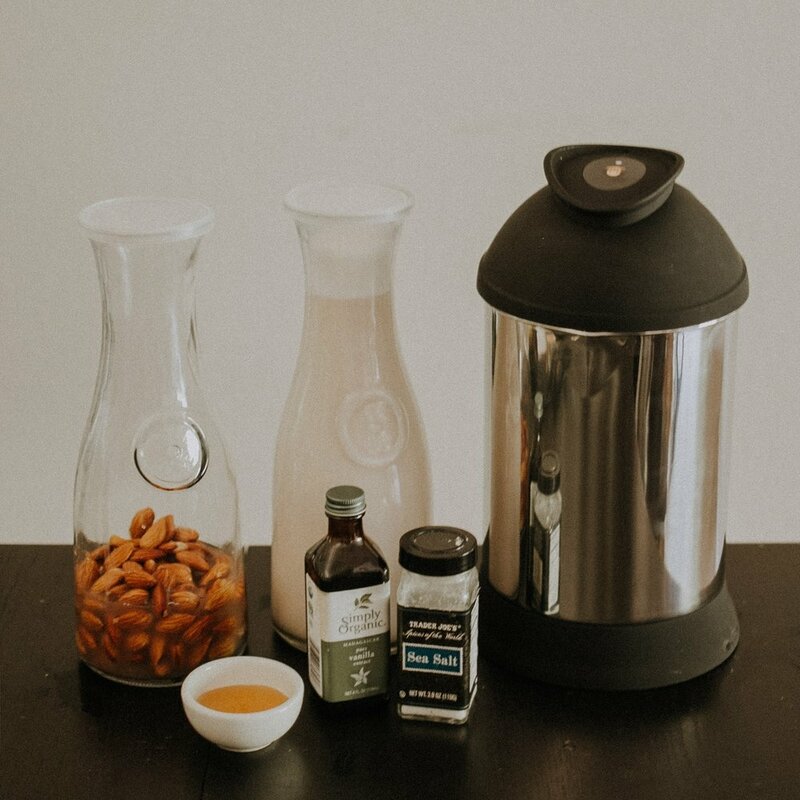 Basically, it’s a super easy nut milk maker that takes less than a minute to make once you’ve prepped and soaked the nuts. There is a fast-growing trend for plant-based food products in general, especially dairy replacements, following research about the effects of the dairy industry on the environment, including environmental pollution, harm to animals, and negative effects to human health. A great resource for learning about the negative health effects of dairy consumption is nutritionfacts.org. Here is the link to dairy specific topics. 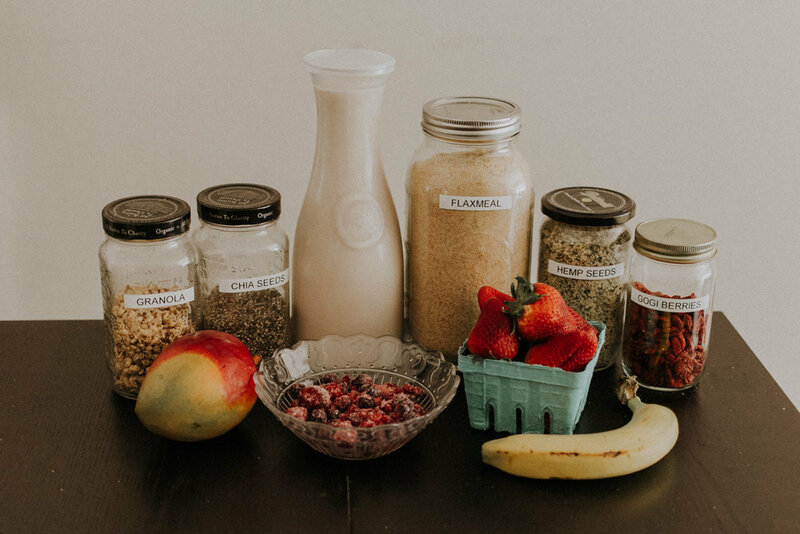 Consuming lots of dairy products, including milk, cheese, yogurt, and ice cream is very engrained in our society, and an important part of our traditions and culture—but people often don’t take a step back to ask why we do this and how the consumption of dairy products affects others and our planet. This is one of the many reasons I’m a vegan. I’ve been buying plant-based milks at the store for years now and they’re great – love them! However, most of the packaging is not recyclable and has bits and pieces of plastic and there is often many other additives in the milks. These additives aren’t bad necessarily, but it’s nice to know exactly what’s going into your food and there is a sense of pride in making your stuff from scratch. 6. Repeat process 2 more times. The Almond Cow portion size makes about 2-3 pitchers worth. *Rather than tossing almond pulp, you can save/freeze pressed almond pulp to make almond cheese or compost scraps! -Pour in a bowl and add remaining toppings; granola, gogi berries, hemp seeds, chia seeds, flaxmeal, sliced strawberries, sliced mango, and sliced banana.